Kelley's Dog Blog: Want To Try Something New? 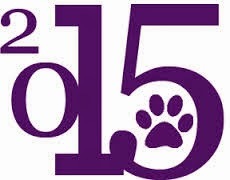 Want to do something new with your dog in 2015? Here are 15 different dog sports you can try. I've provided links for more information if you find anything interesting. Agility – A dog sport in which a handler directs a dog through an obstacle course in a race for both time and accuracy. Dogs run off-leash with no food or toys as incentives, and the handler can touch neither dog nor obstacles. See the United States Dog Agility Association for more information. Barn Hunt – A growing sport honoring the traditional role of dogs in ridding barns, homes, and properties of vermin. Dogs hunt for rats hidden in a straw bale maze. It's a timed event, with levels of difficulty from Novice to Master. More information can be found at the Barn Hunt Association. Conformation – A "dog show" (i.e. Westminster) where a dog is evaluated on its build, looks, movement, temperament, and many other things that "make it what it is". Dogs are compared against a set standard for the particular breed. AKC (American Kennel Club) conformation info here, however, there are other organizations that host conformation competitions as well. Dock Diving – A dog sport in which dogs compete in jumping for distance or height from a dock into a body of water. Ultimate Air Dogs has some great information about dock diving. Flyball – A dog sport in which teams of dogs race against each other from a start/finish line, over a line of hurdles, to a box that releases a tennis ball to be caught when the dog presses the spring-loaded pad, then back to their handlers while carrying the ball.Check out the North American Flyball Association for more details. Freestyle – A modern dog sport that is a mixture of obedience training, tricks, and dance. It's a lot of fun to watch. I have a friend who does this. Apparently there are several freestyle organizations including the Canine Freestyle Federation and the Musical Dog Sport Association. Herding – A sport in which a dog must be able to move livestock around a preset course. The livestock normally seen is sheep, but ducks and cattle can also be used. There are multiple organizations for herding as well. Here is a link to the American Herding Breed Association. The AKC offers herding titles, as does several of the herding breed associations. Lure Coursing – A sport where dogs chase an artificial lure across a field, following a pattern that is meant to simulate live coursing and is perfect for sight hounds. Here a link to the AKC's Getting Started in Lure Coursing page. Nose Work – The fun search and scenting activity for virtually all dogs and people. This is what Jedi and I have been doing lately and we love it. Visit the National Association of Canine Scent Work if you want to do it as an official sport. If you want to just have fun, check out the Sniff School posts at Donna and the Dogs. Obedience – A dog sport in which a dog-handler team must execute a predefined set of tasks. Training for obedience trials can provide much needed mental stimulation and physical activity for a bored house pet. It's amazing to watch. AKC Obedience can be found here. Rally – Another obedience trial, but in Rally the competitors proceed around a course of designated stations with the dog in heel position. The course consists of 10 to 20 signs that instruct the team what to do. Unlike traditional obedience, handlers are allowed to encourage their dogs during the course. World Cynosport Rally has some great information about Rally. Schutzhund – German for “protection dog,” schutzhund was developed in Germany in the early 1900s as a breed suitability test for the German Shepherd Dog. Modern schutzhund consists of three phases: tracking, obedience, and protection. A dog must pass all three phases in one trial to be awarded a schutzhund title. 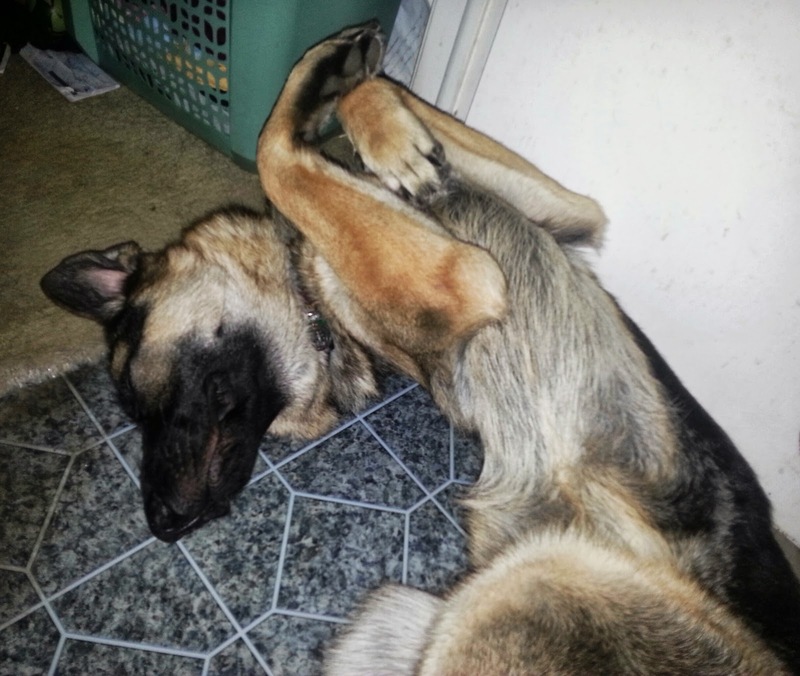 Want more info about schutzhund? Start by visiting the United Schutzhund Clubs of America. Tracking – An event to encourage dogs to make use of their strongest facility, the ability to follow a scent trail. The competition emulates the finding of a lost person or article. The AKC offers tracking trials and titles. See here for more info. Trick Dog Performance Title – Sponsored by Kyra Sundance and Do More With Your Dog, dogs complete a series of tricks to earn various titles. This looks like lots of fun. Don't tell Jedi, but I'm seriously considering doing this! Most of these sports are open to all dogs including mixed breeds, spayed/neutered dogs and handicapped dogs. In fact, K-9 Obedience Club of Jacksonville has a member with a 3-legged dog who has excelled -- and titled! -- in Nose Work. Remember: A tired dog is a happy dog. Whether you decide to check out one of the activities above or not, just do something. And please let me know, because Jedi and I are always looking for something fun.